Since 1947 Prince Hubert de Polignac reinvents the centenary tradition of prestigious cellars into a contemporary world where luxury never seemed to be so irresistible. Blending harvests from more than 250 estates and heir to a long legacy preciously kept in more than 25,000 barrels, Polignac's cognac style reflects an incomparable terroir and the strength of a daring creativity. T.T.TRUNKS, a Parisian trunk maker, reveals a luxurious nomadic travel accessory as a bespoke handmade trunk that shows its owners' passion. Combining the "savoir-faire" of an experienced craftsman and the boldness of a contemporary design, the creator of T.T.TRUNKS turns back to the art of the unique and inspired personal luggage required by intransigent world travelling customers. 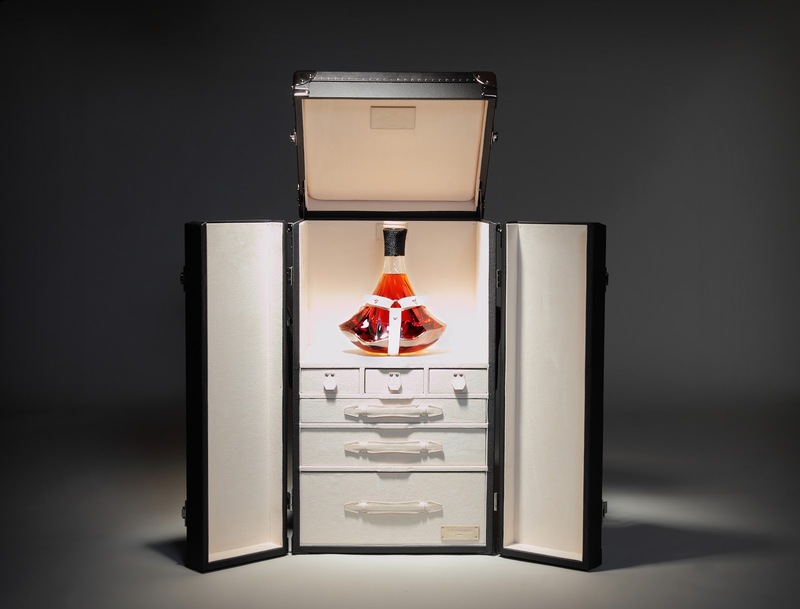 Prince Hubert de Polignac and T.T.TRUNKS joined their skills and created the first "Cognac and Poker" trunk. To celebrate this union, the cellar master whished to reveal his most original eaux-de-vie, secretly preserved in the Polignac's House Paradise. The magic of a very long ageing brings to life an exceptional Grande Champagne's blend, an intense aromatic richness married with the freshness of candied citrus fruits scents, delicately lifted by dry fruit notes. Its final is intense and delightful, characterized by a rancio of an extreme smoothness that only be found in centenary eaux-de-vie. The Prince Hubert De Polignac 888 Trunk is priced at $30,000.